Restriction of Flying Regulations for a Red Arrows display at Blenheim Palace, Oxfordshire on 7 July 2016. Details by NOTAM and in AIC M036/2016 at http://www.nats-uk.ead-it.com. Restrictions also apply to the operation of all drones. Restriction of Flying Regulations for Red Arrows displays at Sunderland on 22 and 23 July 2016. Details by NOTAM and in AIC M036/2016 at http://www.nats-uk.ead-it.com. Restrictions also apply to the operation of all drones. Restriction of Flying Regulations for a Red Arrows display at Southsea, Hampshire on 22 July 2016. Details by NOTAM and in AIC M036/2016 at http://www.nats-uk.ead-it.com. Restrictions also apply to the operation of all drones. Restriction of Flying Regulations for a Red Arrows display at Silverstone, Northamptonshire on 9 July 2016. Details by NOTAM and in AIC M036/2016 at http://www.nats-uk.ead-it.com. Restrictions also apply to the operation of all drones. Restriction of Flying Regulations for a Red Arrows display at RAF Marham, Norfolk on 21 July 2016. Details by NOTAM and in AIC M036/2016 at http://www.nats-uk.ead-it.com. Restrictions also apply to the operation of all drones. Restriction of Flying Regulations for a Red Arrows display at Lyme Regis, Dorset on 21 July 2016. Details by NOTAM and in AIC M036/2016 at http://www.nats-uk.ead-it.com. Restrictions also apply to the operation of all drones. Restriction of Flying Regulations for displays by the Red Arrow and Swiss Air Force Aerobatic Team at East Fortune, East Lothian on 22 and 23 July 2016. Details by NOTAM and in AIC M036/2016 at http://www.nats-uk.ead-it.com. Restrictions also apply to the operation of all drones. 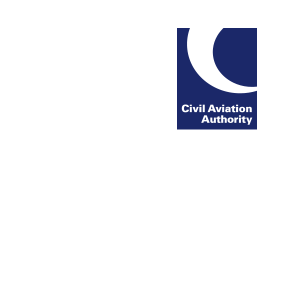 Restriction of Flying Regulations 1 – 2 July 2016 at RNAS Yeovilton Air Show. Details by NOTAM and in AIC M012/2016 at http://www.nats-uk.ead-it.com. Restrictions also apply to the operation of all drones. Restriction of Flying Regulations 1 – 3 July 2016 for Wales national Air Show. Details by NOTAM and in AIC M042/2016 at http://www.nats-uk.ead-it.com. Restrictions also apply to the operation of all drones. Restriction of Flying Regulations 1 – 3 July 2016 at Northamption/Sywell Aerodrome. Details by NOTAM and in AIC M014/2016 at http://www.nats-uk.ead-it.com. Restrictions also apply to the operation of all drones. Restriction of Flying Regulations 25 June – 11 July 2016 at All England lawn Tennis Club, Wimbledon as part of the safety and security arrangements for Wimbledon 2016. Details by NOTAM and in AIC M015/2016. Restrictions also apply to the operation of all drones. Restriction of Flying Regulations on 25 June 2016 at Cleethorpes as part of the arrangements for Armed Forces Day 2016 (National Event). Details by NOTAM and in AIC M037/2016. Restrictions also apply to the operation of all drones. Restriction of Flying Regulations 20 – 27 June 2016 at Glastonbury, Somerset as part of the safety and security arrangements for the Glastonbury Festival 2016. Details by NOTAM and in AIC M038/2016. Restrictions also apply to the operation of all drones.